We really hope that you enjoy the break, and that you get some good time together as a family. We enjoy working with your children on a daily basis, and we are so excited about the growth we are seeing our students this year. During the break, our teachers, staff, and administration will take some much needed time to recharge, relax, and reset. We look forward to returning, and to making 2019 a strong year for the Highline Community, and for our Highline students. 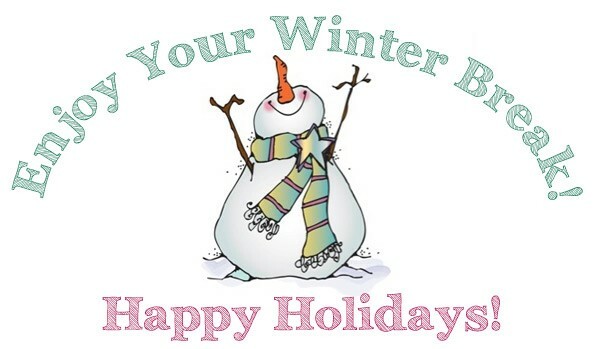 May the break find you and your families happy, warm, and safe. We’re sending positive thoughts and wishes your way during this winter season and can’t wait to kick off 2019! With the new year, we have some staff changes, too. Ms. McColl Stubbs and Ms. Kelley Ledden will be moving on, and their last day with us will be Friday, December 21st. We’re excited for both women to take on new adventures, and are so grateful for the time they shared with our Highline family. Ms. Stubbs has worked diligently to teach students to read better, learn songs and movements to remember sounds, and Ms. Ledden has ignited a passion for reading with a purpose in the upper grade levels. We’re sad to see them go, but are confident they will continue to make this world a better place because of their dedication and service to educating and loving children. Mrs. Vanessa Rodriguez will be moving out of her position as Lower Elementary Performance Group Teacher and into the role as English Language Development Teacher. We are so excited for her to share her expertise of teaching ELLs with the Highline Community. We are moving quickly to find exceptional teaching candidates to fill their positions, and hope to share our new staff members with you soon! Beginning on January 14th, English Language Learners (ELLs) in grades kindergarten through twelfth grade will participate in the ACCESS 2.0 for ELLs assessment. If your student will be taking this test please READ THIS LETTER. Progress on Our Donation Challenge! The lost and found was cleaned out today. Items with student names were returned to students. Unmarked items will be donated. Please make it a point to check the lost and found regularly! If you have any uniforms that no longer fit your students please consider donating them to the "Highline Uniform Closet." We use these for when students have bathroom accidents and for large spills at lunch or snack. Our supply is getting rather low these days! Thanks! We have new videos on our website and on YouTube to promote the unique programs and culture at Highline. Check out the new videos here - we are HIghline and we are proud of our school! Highline is hosting a FREE workshop for parents on Monday, January 7th to provide practical tools and applications for discussing race with children and reversing unconscious racial bias. Limited seating available on a first come, first served basis. Click here to register today and reserve your spot! We will be sharing more information in the upcoming months, but for now, please save the date for January 24th here at Highline from 5:00 - 6:30pm. Join the School Accountability Committee today! What: Meeting to provide input, guidance, and support to administration about how to create positive change for our students. When: 4 total meetings throughout the remainder of the school year. Why: Generate input from the perspective of parents, teachers, and community members. Save your box tops!! Each box top earns 10 cents for the school. Turn them into the main office in a bag with the student's name on it. Whoever gets the most BoxTops turned in will get a prize! The November winner was Everett and Wyatt Bellwood. The person with the most by Friday, December 21st will win our next prize! 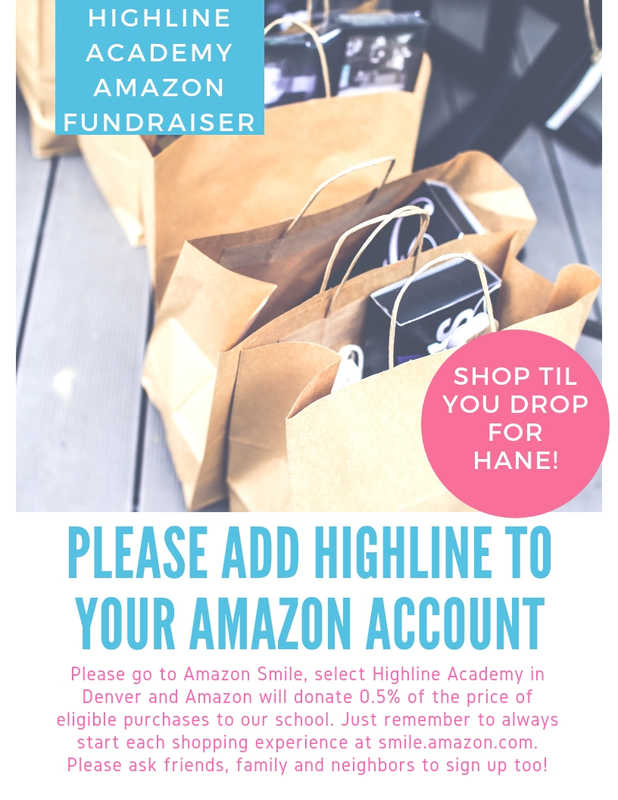 Please help Highline Academy Northeast win $500 to $2,500 when you shop, dine or watch a movie at Northfield Stapleton (excluding SuperTarget and perimeter restaurants) between September 1 and May 15. For more information about the Shopping 4 Students program, sponsored by GameWorks, call (800) 539-3273 or visit the Shopping 4 Students website at shopandlog.com/northfield. Every year we ask teachers to fill out a spreadsheet with a few of their Favorite Things. We are sharing this here with you today in case you are searching for teacher holiday gift ideas. Please remember that you are NOT REQUIRED to buy anything for teachers. 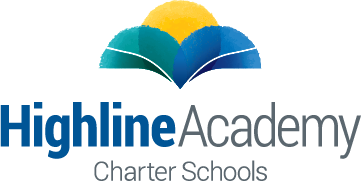 Copyright © 2018 Highline Academy Northeast, All rights reserved.